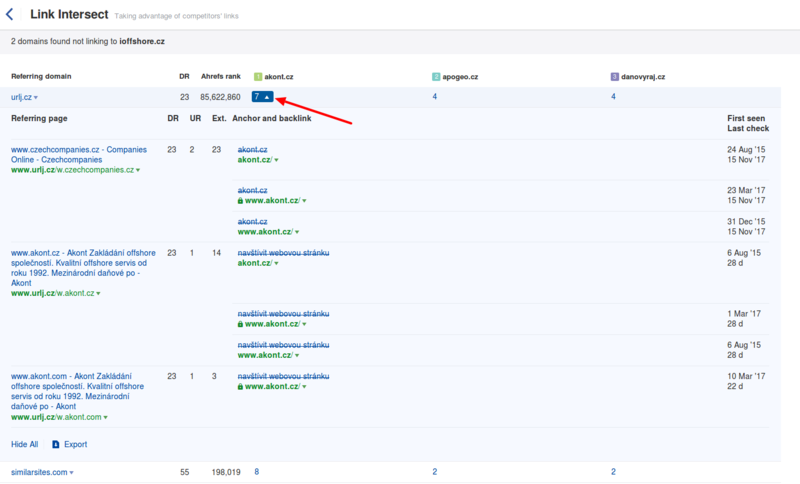 Is there a way to compare a few websites to see what referring domains my competitors have that I am missing? Find out how to use Link Intersect to compare a few websites to see Referring Domains. You can add up to 10 websites to the tool and compare them with your own website. In case you want to analyze specific pages, choose the fitting mode from the left menu near each of the added websites. 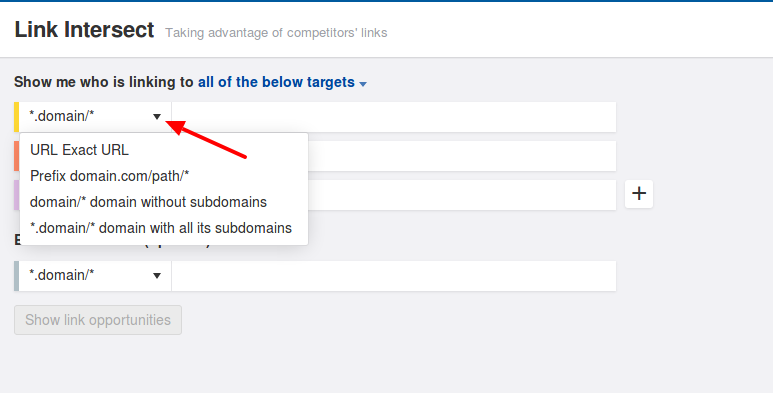 After pressing the “Show link opportunities” button, you’ll see the list of domains that link to your competitors but don’t link to you. If needed, you can sort them out by their Domain Rating (DR) or Ahrefs Rank (read more about Ahrefs metrics here). To check the backlinks placed on a particular domain, just click on the number as it is shown in the screenshot below. Also, note that you can easily export the results into a handy spreadsheet. To do that, just click the “Export” button in the right corner.